House Democrats have asked Deutsche Bank to hand over information concerning any possible ties between accounts relating to President Trump and the Russian government. The letter from Democrats on the House Financial Services Committee was sent to the bank on Tuesday. 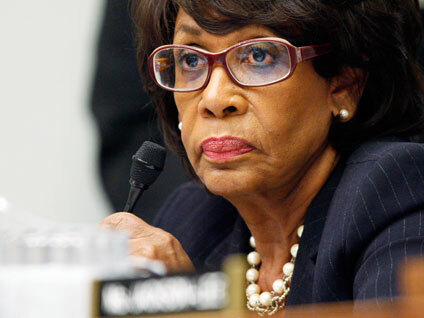 It is signed by Rep. Maxine Waters, D-California, the top Democratic member on the committee, as well as the Democratic vice ranking member and the ranking members of various subcommittees. The letter also asks for information involving the 2011 "mirror trading" scandal in which $10 billion was laundered out of Russia. Earlier this year, the bank agreed to pay $425 million to settle a New York State investigation into the scheme. "Congress remains in the dark on whether loans Deutsche Bank made to President Trump were guaranteed by the Russian government, or were in any way connected to Russia," the letter states. "It is critical that you provide this committee with the information necessary to assess the scope, findings and conclusions of your internal reviews." The letter faults the bank for demonstrating "a pattern of regulatory compliance failures and disregard for U.S. law." It then goes on to ask for the results of a review the bank reportedly took of accounts belonging to Mr. Trump and members of his family who are now part of the administration. The Democrats write that this review was reportedly undertaken to see if loans to Mr. Trump were backed by the Russian government, and note that Mr. Trump is estimated to owe the bank some $340 million in unpaid loans. "Only with full disclosure can the American public determine the extent of the President's financial ties to Russia and any such impact such ties may have on policy decisions," the letter states. The letter is the latest salvo in the ongoing and overlapping investigations into Mr. Trump's alleged ties to the Russian government, and how such ties might connect to suspected Russian interference in the 2016 election. Democrats have repeatedly requested that Mr. Trump release his tax records in order to discover more about such a financial relationship, but the president has refused to do so. Russian interference in last November's election is currently the subject of numerous overlapping Congressional investigations, as well as an investigation being carried out by newly appointed Special Counsel Robert Mueller.